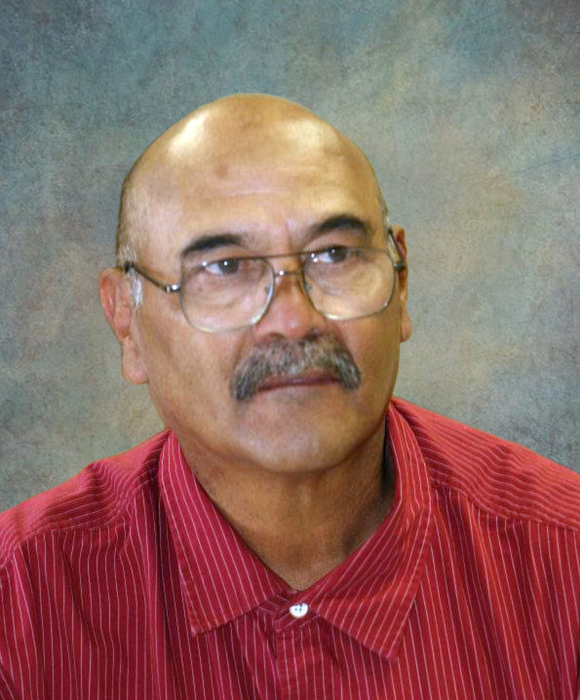 TOMAS “TOMATO” FLORES, 63, a lifelong resident of Lordsburg passed away Friday July 20, 2018 at Gila Regional Medical Center in Silver City. A memorial service will be Friday July 27, 2018 at 11 o’clock in the morning at Lordsburg Calvary (former Church of Christ) in Lordsburg with Pastor Isaac Kerr officiating. Inurnment will follow at Shakespeare Cemetery. Cremation has taken place at Baca’s Mimbres Crematory. Tomas, or “Tomato” as many knew him was born November 23, 1954 in Lordsburg to Blas S. and Eloisa (Carrion) Flores. He graduated from Lordsburg High School and served his country honorably in the United States Army. Over the years held several jobs in the area having worked in the field of law enforcement, was a probation officer, and most recently he was a truck driver. Tomato was an avid fan of the Los Angeles Rams, enjoyed gardening and of special importance to him was the well being of his family. He is survived by his sons, Aaron Flores (Mandi) of Apache Junction, AZ, Marc Flores of Seattle, WA, and Julian Thomas Flores of Tucson, AZ; his brothers, Lawrence Flores of Tucson, AZ, Davy Flores of Lordsburg, Frankie Flores of Lordsburg, Paul Flores of Tucson, AZ; his sister, Fina Corrales of Las Cruces; and 3 grandchildren, Tyler Sater, Jaidyn Sater, and Kierdan Flores. Tomas was preceded in death by his parents, Blas and Eloisa Flores and by 1 sister, Elvia Flores.